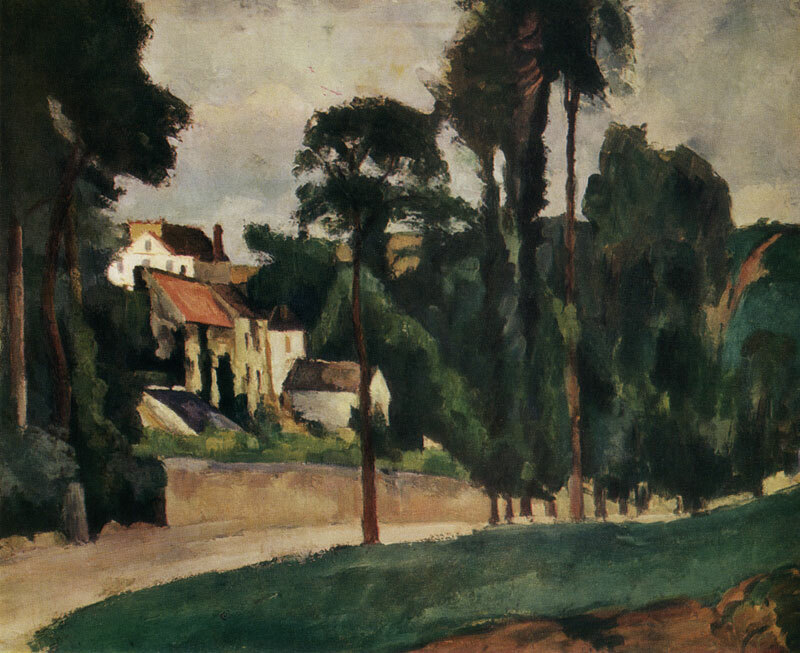 From 1885 on Cezanne often worked at Bellevue, not far from Aix, where Maxim Conil, his brother-in-law, had bought an estate. According to A. Barskaya, the Moscow picture presents a view of the aqueduct and Mount Sainte-Victoire from Bellevue. 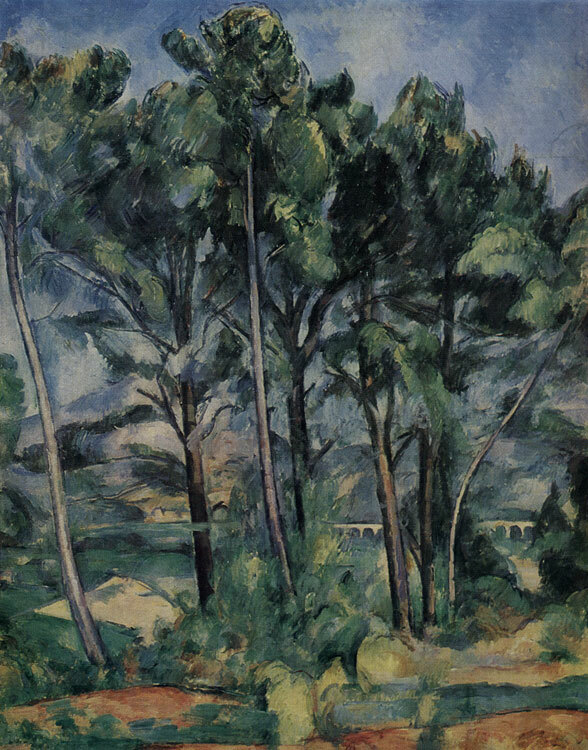 The same locality is depicted in Cezanne's Mount Sainte-Victoire of 1885—87 (The Metropolitan Museum of Art, New York). The Moscow canvas was obviously completed in 1885—87. Oil on canvas. 61 X 90 cm. Inv. No 3415 The picture was presumably painted in 1888—90. 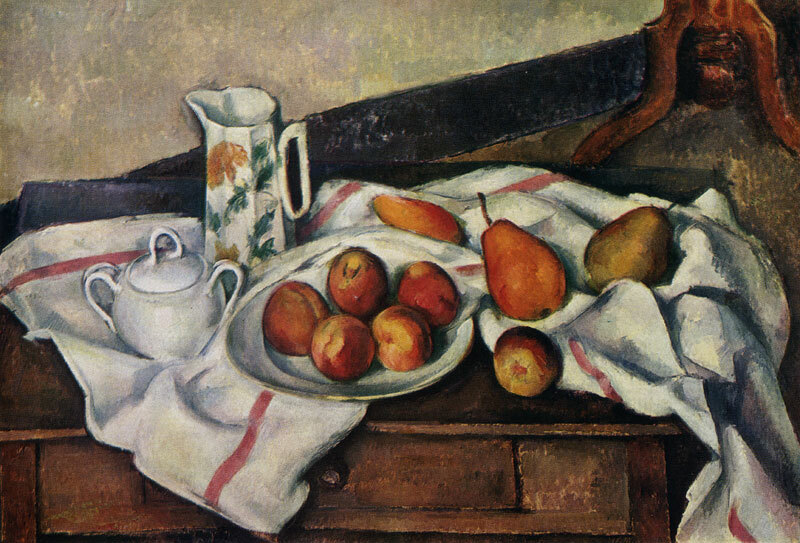 A canvas of the same year, similar to this still life, is in the Nasjonalmuseet, Oslo. 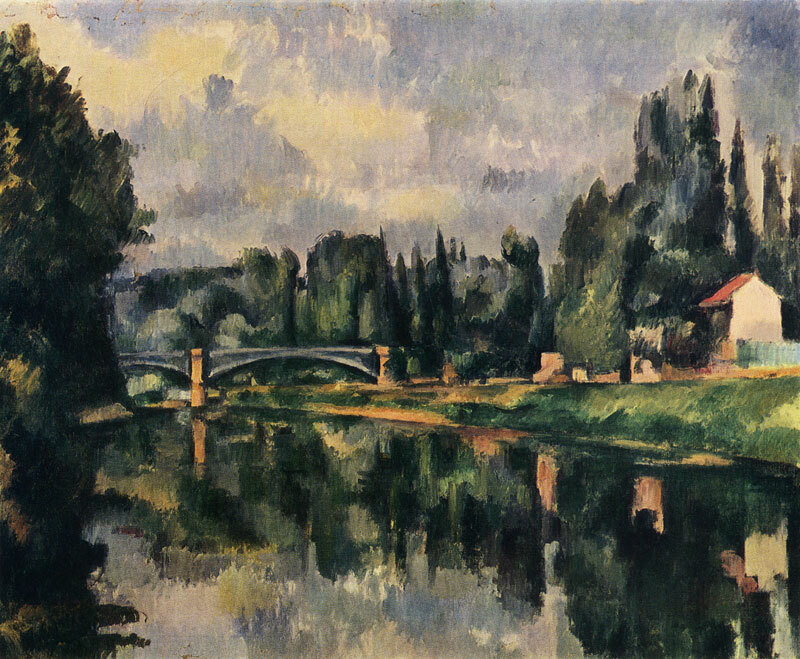 Cezanne turned to this theme several times. 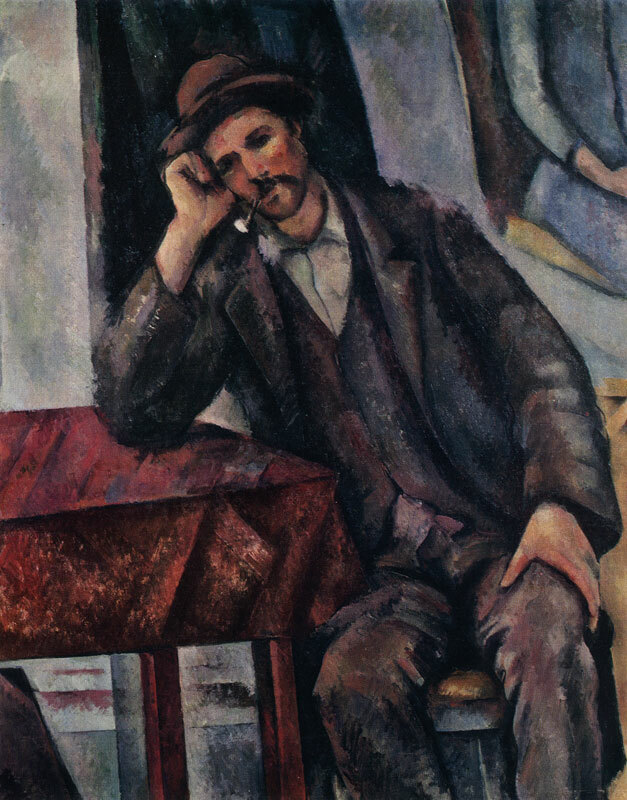 There is a painting entitled The Smoker in The Hermitage in Leningrad. The Moscow canvas may be dated to 1895—1900. Oil on canvas. 102 X 81 cm. Inv. 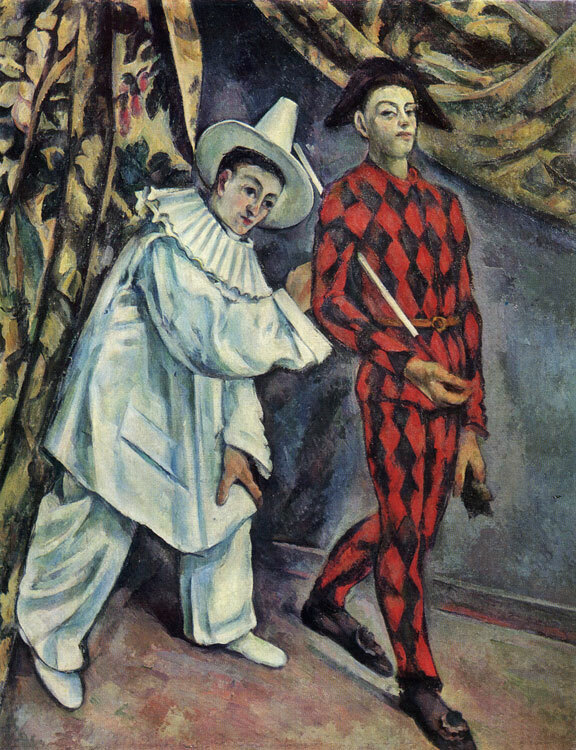 3335 The models who sat for the picture were Louis Guil-laume as Pierrot and Paul Cezanne, the artist's son, as Harlequin. 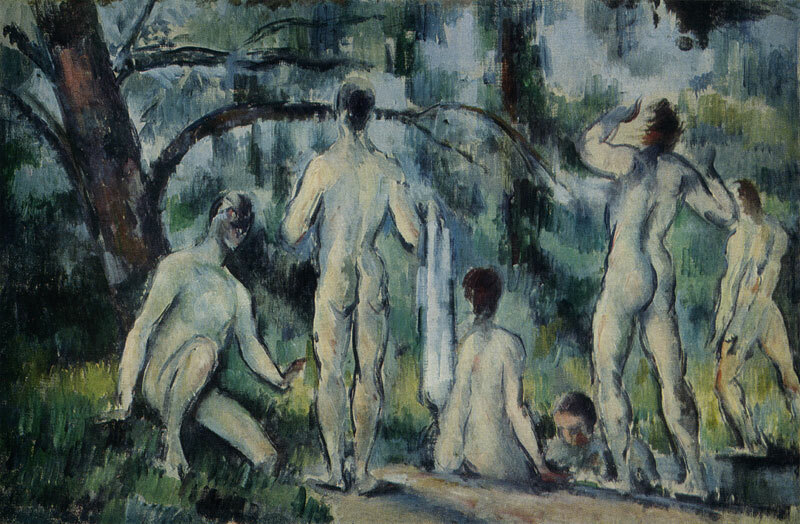 On the evidence of the latter the work was painted in 1888 in Cezanne's studio in the Rue du Val-de-Grace in Paris. 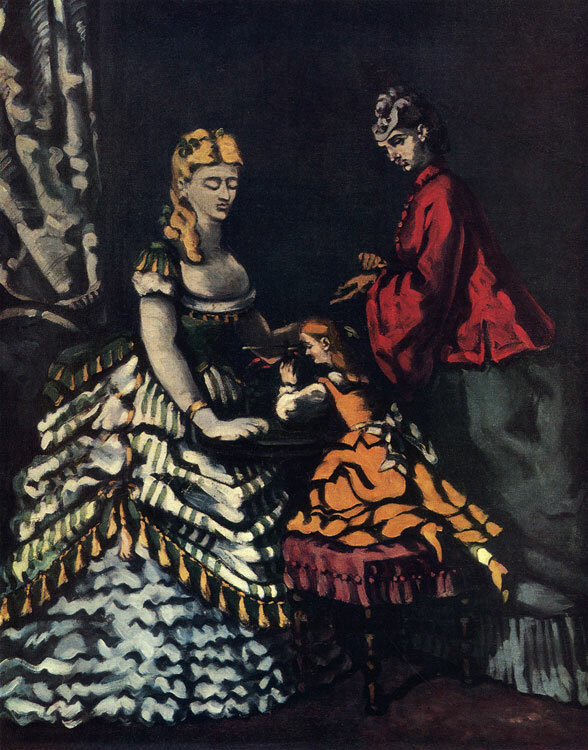 There are three oil studies and numerous drawings relating to this picture. The study closest to it is in the Auguste Pellerin Collection in Paris. 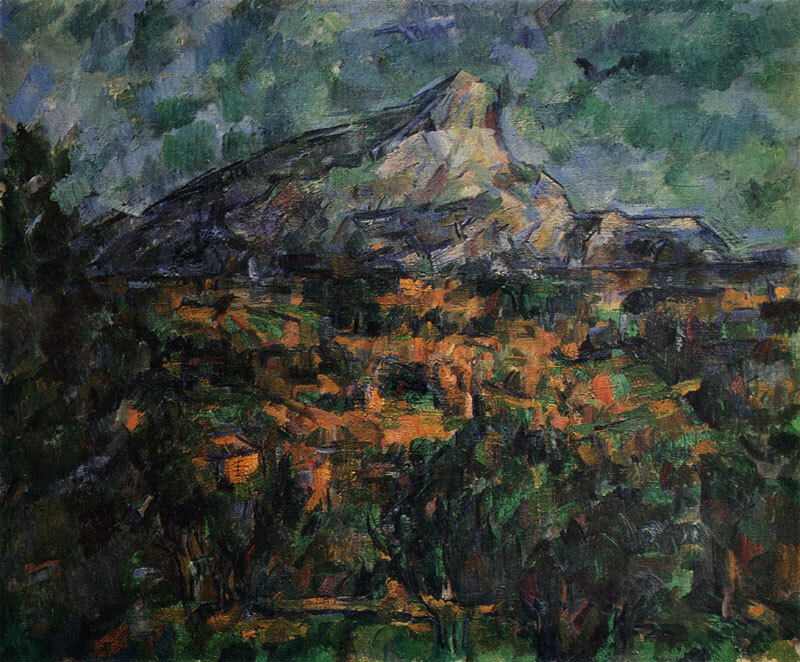 (MOUNT SAINTE-VICTOIRE) Oil on canvas. 60 X 73 cm. Inv. 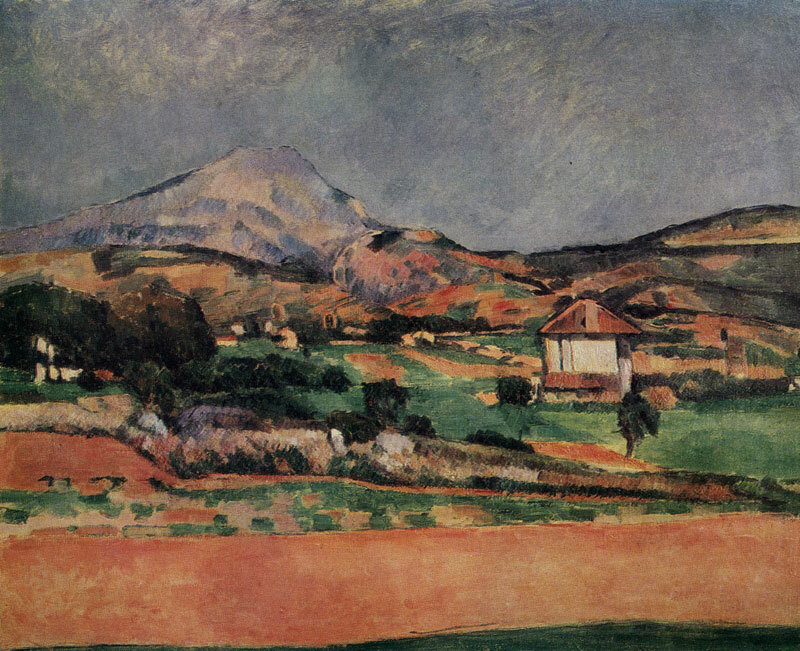 No 3339 According to M. Raynal, Cezanne painted or drew Mount Sainte-Victoire almost fifty times; it was one of his favorite subjects. The Moscow picture is dated about 1905 and is one of the finest views of Sainte-Victoire. 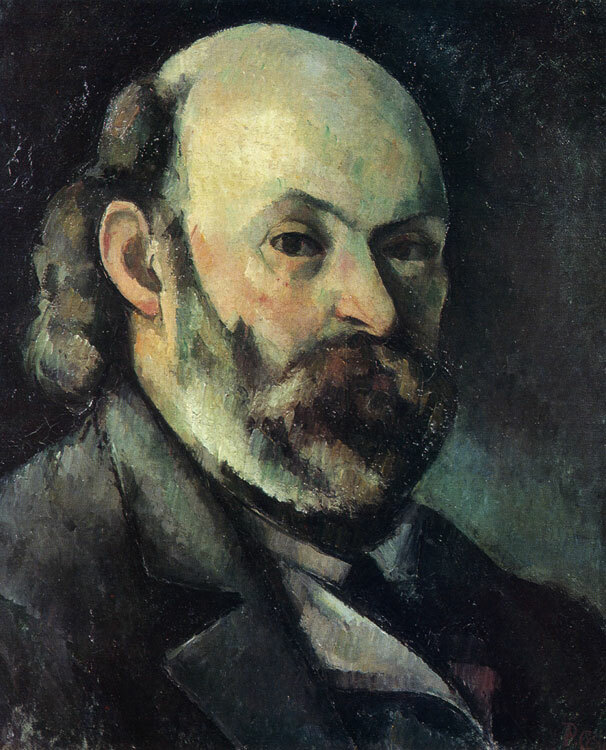 It is reproduced in Portrait of Cezanne with His Son and the Artist K. X. Roussel, painted by Maurice Denis at Aix in 1905. Oil on canvas. 58 X 72 cm. Inv. No 3412 The picture may be dated to 1882—85. A pencil drawing done for the right-hand part of the canvas is now in the Kunstmuseum, Basel.